Dedicated to people with Alzheimer’s, other dementias, Parkinson’s other neuro disorders, their families and caregivers. 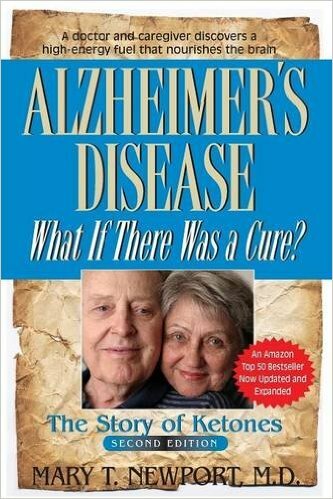 Also for people who want to prevent Alzheimer’s and dementia. The Alzheimer’s Association recently funded a study of MCT oil to prevent Alzheimer’s with positive results and is funding a new study of the Veech ketone ester by Dr. Stephen Cunnane in Canada. See more information below on this ketone ester and where to buy it below. Alzheimer’s Disease International: Reports and Information on Alzheimer’s and Dementia. Next conference in Singapore March 18-21, 2020. Dementia Alliance International: Organization by people with dementia for people with dementia. Ketone Salts Explained: What are Ketone Salts? Ketone Ester’s: What, Why and How? Information about the ketone ester invented by Dr. Richard Veech, just available to the public in 2018. My husband Steve had dramatic improvement and stabilized for twenty more months while taking this ketone ester in a pilot study of one person, published in Alzheimer’s and Dementia in 2015. Read article on What, Why and How of Ketone Esters before purchasing to learn more about the risks and benefits. Take article to your doctor to educate and help with monitoring. 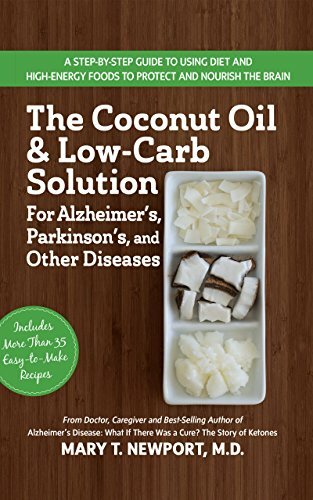 A reasonable guide to reducing sugar and adding coconut and MCT oil to the diet for people with Alzheimer’s, Parkinson’s, other neuro disorders and diabetes. BUY NOW. 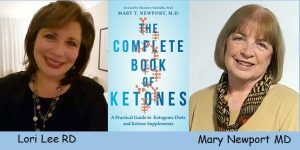 Dr. Newport’s 1st Book – Steve’s story, all about Alzheimer’s, the science of ketones and how to use coconut and MCT oil. BUY NOW. 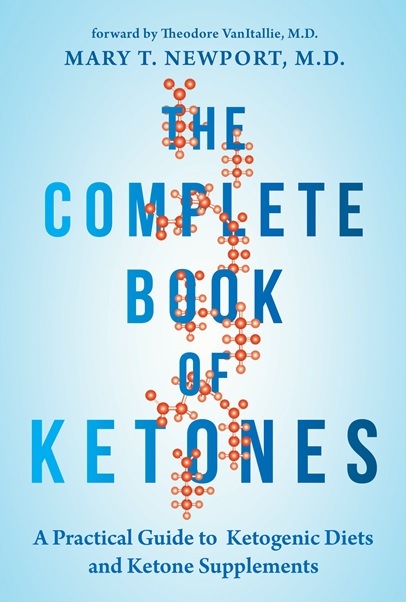 Dr. Newport’s new book – a broader look at ketones, history, science, keto diet and ketone supplements for healthy people and people with medical conditions. BUY NOW.